Calling middle school girls! Bring your mom or a mentor to Penuel Ridge Retreat Center and get ready to experience God in some amazing ways! Discover the basics of birdwatching as well as reading and writing poetry. Enjoy creating a collage that speaks from and to your soul, walking a prayer labyrinth, hiking, listening to music, cooking breakfast, and s’mores around the campfire, while discovering how God is part of it all. Carpool will leave from Providence Church to travel to Ashland City. $35 for students, $75 for adults. Scholarships available for all retreats. Learn more about Penuel Ridge Retreat Center. $115- Covers private bedroom, 4 meals, Restorative Yoga, and 30 minutes of Spiritual Direction. $50 deposit required. FULL, Waiting list only. Enter into Jesus' life, death, and resurrection with your own story of life, death, and resurrection. Join the monks in prayer if you wish, receive spiritual direction, enjoy the beauty & hospitality of the monastery. "Plow up the hard ground of your hearts, for now is the time to seek the Lord..." (Hosea 10:12) Enjoy the grounds and hospitality of the monastery, join the Sisters of St. Benedict in prayer if you wish, receive spiritual direction, take the time to examine the hard places in your life, and leave allowing God to soften, heal & amend your soil. $350 covers private bedroom/bath, 9 meals & 2 sessions of spiritual direction! Men & Women welcome. Scholarships available for all retreats. Carpooling available for out-of-state retreats. Register for retreats here or email me to reserve a space. Contemplative Outreach's app is available in Google Play and iTunes. personal relationship with Jesus. It's a time to be present to God in silence and "abide with Him" as it says in John 15:4. 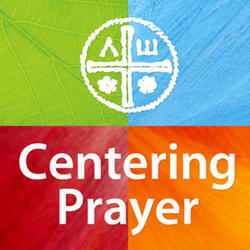 Centering Prayer is a way to rest in God. It calms my mind and soothes my soul and the best thing is - you can't do it wrong. A break from busyness. Space to rest. Time to be with God. Opportunity to reflect, play, go through prayer stations and create. You may have been curious about the silent retreats we offer but hesitant to try a whole day or weekend. How about a three hour taste? Join me in learning to befriend silence by first learning how to deal with internal distractions then you're free to enjoy the quiet (you may end up hungering for more!). Free! Register here. This school year we'll be praying creatively through the story of Jesus using The Condensed Gospel, color pencils, and ancient ways of praying with Scripture. Email me to sign up!